Analyzing 9-1-1 location accuracy through the NG911 Clearinghouse integration with GeoComm. Analyzing 9-1-1 location accuracy through the NG911 Clearinghouse integration with TriTech. Analyzing 9-1-1 location speed and accuracy through the NG911 Clearinghouse pilot project with Android Emergency Location Service (ELS). 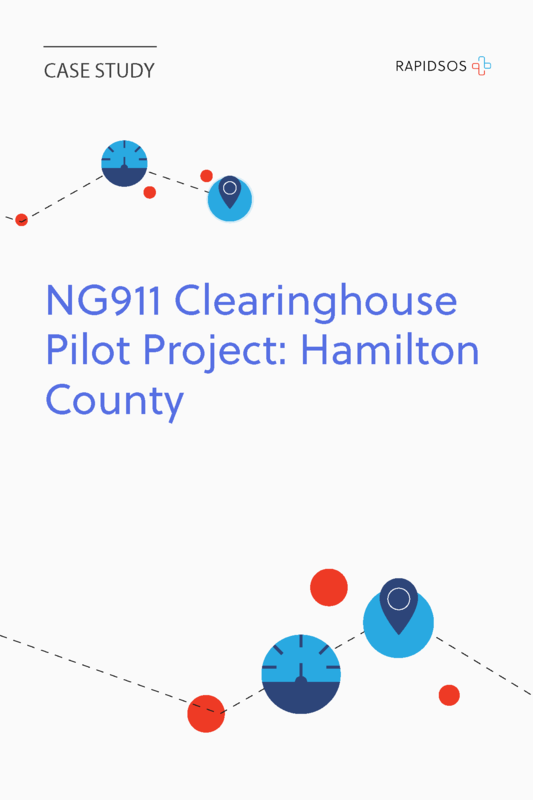 Analyzing 9-1-1 location accuracy through the NG911 Clearinghouse integrations with Pulsiam and Zetron. A study quantifying the impact of emergency response times. A recorded webinar on how agencies can access emergency data from RapidSOS. A detailed product overview of the secure emergency data source for your public safety agency. An overview of RapidSOS, including partners, products, investors, and overall mission. Learn how to access the NG911 Clearinghouse with this short product overview.